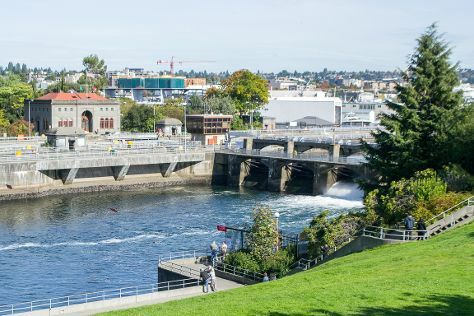 Start off your visit on the 19th (Mon): kick back and relax at Marina Beach Park, then enjoy the sand and surf at Meadowdale Beach Park, and then take a leisurely stroll along Hiram M. Chittenden Locks. On your second day here, explore the world behind art at Chihuly Garden and Glass, explore the different monuments and memorials at Greenwood Memorial Park Funeral Home, then head outdoors with Champion Arms, and finally kick back and relax at Seahurst Beach Park. To find traveler tips, other places to visit, more things to do, and more tourist information, refer to the Seattle trip planner . If you are flying in from Denmark, the closest major airports are Seattle Tacoma International Airport and Boeing Field King County International Airport. In August, daily temperatures in Seattle can reach 31°C, while at night they dip to 19°C. Finish your sightseeing early on the 21st (Wed) so you can drive to Snoqualmie. Snoqualmie is a city next to Snoqualmie Falls in King County, Washington. Start off your visit on the 21st (Wed): tour the pleasant surroundings at Railroad Community Park, examine the collection at Northwest Railway Museum, then take in the dramatic scenery at Twin Falls, and finally admire the majestic nature at Olallie State Park. Here are some ideas for day two: trek along Denny Creek Trail and then grab your bike and head to Snoqualmie Pass Train Tunnel. To see other places to visit, traveler tips, ratings, and tourist information, refer to the Snoqualmie trip maker tool . You can drive from Seattle to Snoqualmie in an hour. Alternatively, you can take a bus. In August, daily temperatures in Snoqualmie can reach 31°C, while at night they dip to 18°C. On the 23rd (Fri), wrap the sightseeing up by early afternoon so you can drive to Portland. Start off your visit on the 23rd (Fri): identify plant and animal life at Hyland Forest Park. To find traveler tips, where to stay, reviews, and other tourist information, use the Portland trip planner . Getting from Snoqualmie to Portland by car takes about 3.5 hours. Other options: fly; or take a bus. Expect a daytime high around 34°C in August, and nighttime lows around 18°C. Cap off your sightseeing on the 25th (Sun) early enough to travel to Coos Bay. Coos Bay is a city located in Coos County, Oregon, United States, where the Coos River enters Coos Bay on the Pacific Ocean. Kick off your visit on the 25th (Sun): immerse yourself in nature at Bandon State Park and then kick back and relax at Coquille Point. For reviews, more things to do, where to stay, and other tourist information, go to the Coos Bay route planner. Drive from Portland to Coos Bay in 4 hours. Traveling from Portland in August, expect Coos Bay to be little chillier, temps between 23°C and 14°C. Wrap up your sightseeing by early afternoon on the 26th (Mon) to allow time for travel to Crescent City. Crescent City is the county seat and only incorporated city in Del Norte County, California. Your day-by-day itinerary now includes Six Rivers National Forest. On the 27th (Tue), you'll have a packed day of sightseeing: delve into the lush surroundings at Six Rivers National Forest, then immerse yourself in nature at Jedediah Smith Redwood State Park Campground, and then visit a coastal fixture at Battery Point Lighthouse. For where to stay, other places to visit, reviews, and tourist information, go to the Crescent City trip itinerary tool . Traveling by car from Coos Bay to Crescent City takes 3 hours. When traveling from Coos Bay in August, plan for little chillier days and about the same nights in Crescent City: temperatures range from 20°C by day to 13°C at night. Finish your sightseeing early on the 28th (Wed) to allow enough time to travel to Yosemite National Park. Kick off your visit on the 29th (Thu): take in the views from Golden Gate Bridge, then see what you can catch with a fishing tour, and then head off the coast to Alcatraz Island. Get ready for a full day of sightseeing on the 30th (Fri): kick back and relax at Fort Funston National Park, immerse yourself in nature at Marin Headlands, and then explore the galleries of SS Jeremiah O'Brien. To find more things to do, where to stay, and more tourist information, read our San Francisco trip planner . Traveling by flight from Crescent City to San Francisco takes 3.5 hours. Alternatively, you can do a combination of bus and flight; or drive. In August, San Francisco is a bit warmer than Crescent City - with highs of 26°C and lows of 17°C. Wrap up your sightseeing on the 30th (Fri) to allow time to drive to Yosemite National Park. 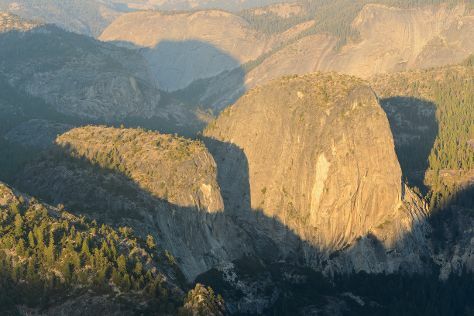 On the 31st (Sat), make a trip to Olmsted Point, then hike along Panorama Trail, then explore the striking landscape at Sentinel Dome, and finally take in the dramatic natural features at Glacier Point. Get ready for a full day of sightseeing on the next day: take in the dramatic scenery at Yosemite Falls, take in the awesome beauty at Cathedral Beach Picnic Area, then make a trip to Yosemite Conservation Heritage Center, and finally tour the pleasant surroundings at Four Mile Trail. Drive from San Francisco to Yosemite National Park in 4 hours. Alternatively, you can do a combination of flight and car; or do a combination of flight and bus. While traveling from San Francisco, expect a bit warmer days and little chillier nights in Yosemite National Park, ranging from highs of 32°C to lows of 7°C. Finish your sightseeing early on the 1st (Sun) so you can drive to Monterey. Monterey is a city in the U.S. 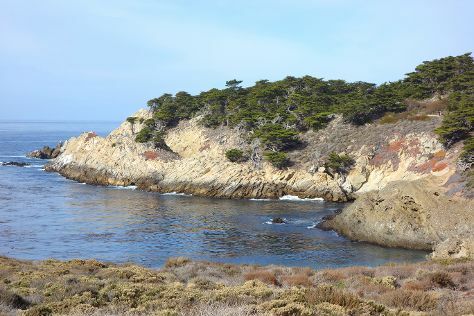 Kick off your visit on the 2nd (Mon): look for all kinds of wild species at Point Lobos, then admire the landmark architecture of San Carlos Borromeo de Carmelo Mission, and then stroll through Monterey Peninsula Recreational Trail. Keep things going the next day: see majestic marine mammals with a dolphin and whale watching tour. To see maps, other places to visit, traveler tips, and other tourist information, you can read our Monterey trip itinerary maker site . Traveling by car from Yosemite National Park to Monterey takes 4.5 hours. Alternatively, you can do a combination of car, flight, and shuttle; or do a combination of car and flight. Traveling from Yosemite National Park in September, expect somewhat warmer with lows of 15°C in Monterey. On the 4th (Wed), wrap the sightseeing up by early afternoon so you can travel to Zion National Park. Kick off your visit on the 5th (Thu): explore the wealth of natural beauty at The Narrows. On the 6th (Fri), you'll have a packed day of sightseeing: explore the wealth of natural beauty at Zion National Park. To find where to stay, ratings, more things to do, and tourist information, read Zion National Park online trip itinerary builder . Getting from Monterey to Zion National Park by combination of shuttle, flight, and car takes about 8 hours. Other options: drive; or do a combination of bus and taxi. Traveling from Monterey to Zion National Park, you'll lose 1 hour due to the time zone difference. When traveling from Monterey in September, plan for somewhat warmer days in Zion National Park, with highs around 34°C, while nights are little chillier with lows around 10°C. Cap off your sightseeing on the 6th (Fri) early enough to go by car to Monument Valley. Monument Valley is a region of the Colorado Plateau characterized by a cluster of vast sandstone buttes, the largest reaching 1000ft above the valley floor. On the 7th (Sat), take a pleasant ride with a tour on horseback, get great views at Navajo National Monument, and then take in the dramatic natural features at Monument Valley Navajo Tribal Park. On the 8th (Sun), you'll have a packed day of sightseeing: admire nature's extreme beauty at Monument Valley Navajo Tribal Park. To find reviews, other places to visit, more things to do, and other tourist information, go to the Monument Valley online itinerary planner . Getting from Zion National Park to Monument Valley by car takes about 6 hours. September in Monument Valley sees daily highs of 32°C and lows of 13°C at night. Wrap up your sightseeing by early afternoon on the 8th (Sun) to allow enough time to drive to Bryce Canyon National Park. On the 9th (Mon), take in the dramatic natural features at Thor's Hammer, then explore the striking landscape at Wall Street, then hike along Rim Trail, and finally take in the dramatic natural features at Queen Victoria. Here are some ideas for day two: explore the wealth of natural beauty at Fairyland Loop Trail. To see traveler tips and more tourist information, use the Bryce Canyon National Park travel itinerary planner. Drive from Monument Valley to Bryce Canyon National Park in 6 hours. In September, Bryce Canyon National Park is slightly colder than Monument Valley - with highs of 24°C and lows of 5°C. Wrap up your sightseeing by early afternoon on the 11th (Wed) to allow enough time to travel back home.